When the original Tron movie was released in 1982 it was the first time that Computer Generated Imagery (CGI) had been used extensively in a feature film. Tron Legacy continues where the original left off and features some of the most spectacular special effects ever seen in a movie all wrapped up within a highly stylised black and neon world. I was lucky enough to obtain tickets to watch Tron Legacy in 3D at the BFI IMAX cinema in Waterloo, surely the best way to enjoy this visually stunning movie. 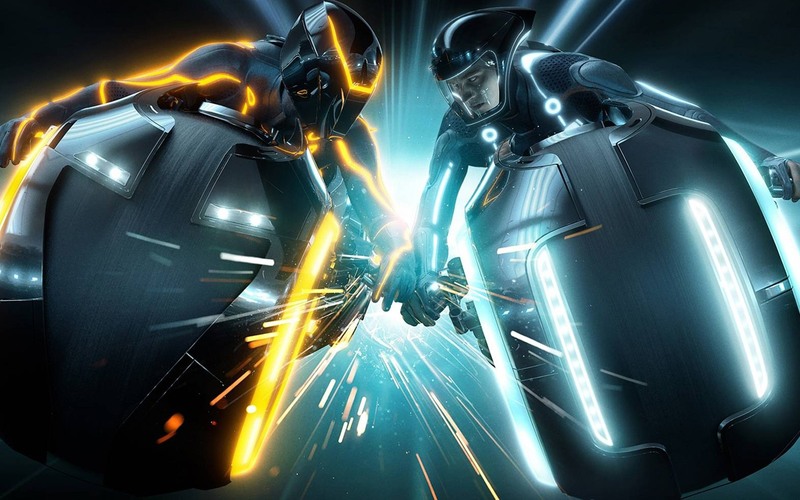 Tron Legacy includes over 43 minutes of footage specially created for IMAX cinemas, an approach which was first used to great effect in The Dark Knight a couple of years previously. Tron Legacy follows Sam Flynn (Garrett Hedlund) as he investigates his father’s disappearance and finds himself pulled into the grid, where his father has been trapped for the last 25 years. Without giving away too much of the plot, Sam teams up with his father (Jeff Bridges) and Quorra (Olivia Wilde) to defeat Clu and Tron as they battle to escape the grid. For me this is the standout movie of the year, and shows what a disappointing movie Avatar was. The story successfully dovetails with the original movie in a way in which many sequels fail to. This movie is strikingly stylised, the special effects are stunning, and the Daft Punk sound track provides a pounding accompaniment to this fast paced, action packed rollercoaster ride. This is a must see for all action and sci-fi movie fans and I can’t wait for the Blu-ray to be released in 2011.